A recent ludicrous editorial in The Oklahoman basically arguing against providing health care to impoverished people through Medicaid used a report to make a point and then bashed the same report. The Sunday editorial, using the “O” word, is titled “Obama tactics reveal Medicaid expansion danger,” and it’s a solid example of exactly why the newspaper’s commentary has no credibility just in terms of basic logic. That’s not even to mention its crass, suffocating right-wing ideology, which I believe is one of the reasons for the newspaper’s continuing financial demise. So the seemingly big point of the editorial is that the federal government-i.e. “President Barack Obama”-has “threatened” to stop funding “uncompensated care pools” in some states for uninsured patients unless those states expand Medicaid under the Affordable Care Act (ACA). Those states being “threatened” personally by Obama don’t include Oklahoma so one has to wonder what the big point is anyway, but then the editorial makes its big move. See, Oklahoma is one of those states that chose not to expand Medicaid under the ACA because, as the editorial claims, it would eventually cost the state $850 million, according to a Leavitt Partners report. The report by the Utah-based firm also argued the expansion would add $400 million to the economy, but all that’s nonsense to The Oklahoman. Somehow citizens are supposed to believe that if government takes $1 from taxpayers and spends it, then it will have greater economic impact than if that $1 was spent by taxpayers. Obviously such claims are bogus, which is why the Leavitt report’s estimate of an $850 million state cost should be taken seriously while purported “savings” can be ignored as accounting fiction. I hate to even use the clichéd term “cherry picking,” but then I’m writing about a clichéd newspaper that publishes clichéd editorials supported by a clichéd ideology that’s dying on the vine, on its last gasp, kaput, finito, going, going, gone. This editorial is the picking of cherries at its most exquisite. Let me clear this up. Somehow citizens get two ice cream cones for $1 but then one of them melts. This isn’t right. 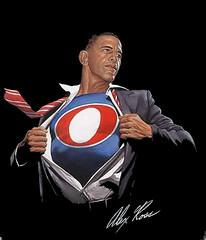 Obama made that ice cream cone melt by shooting laser beams from his eyes while wearing his “O” cape. It’s an ice cream cone fiction. Believe that the lime sherbet ice cream cone melted but that the orange sherbet ice cream cone didn’t. Get it? My point is that it doesn’t matter where that $1 is coming from that’s going into the economy in terms of basic mathematics. Also, shouldn’t The Oklahoman be in favor of the federal government spending less money on health care? It contradicts itself. The bottom line is that The Oklahoman editorial board, which is pretty much a local propaganda division for the Republican Party, could care less about poor people. The newspaper’s editorial writers apparently want to live in a world where fellow citizens suffer, and they will dispense with logic and morality to make sure that happens here.